In a recent review of Ant Sang’s ‘Shaolin Burning’ for the NZ Listener I wrote: “By many definitions, this could be New Zealand’s second-ever ‘graphic novel’, the first being Dylan Horrocks’s ‘Hicksville’”. By way of correction, I guess what I was referencing in my ‘Shaolin Burning’ review was a whole set of understandings about comics, and those that differentiate themselves as ‘graphic novels’. Even in 2002, ‘White Trash’ still called itself a comic, as publisher Stu Colson wrote in his intro to the NZ edition: “Comics today are for adults”. 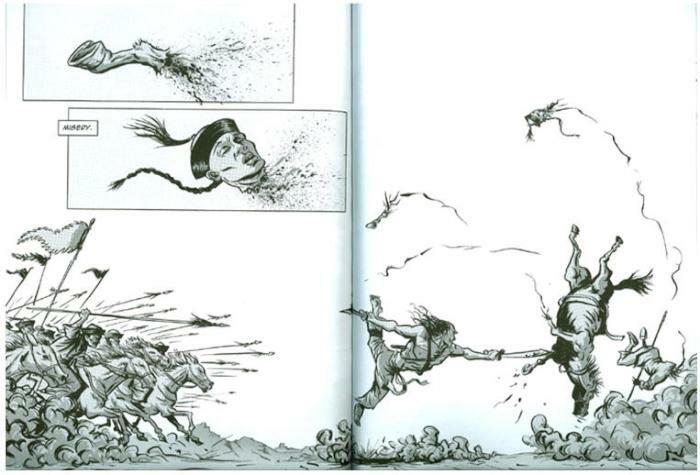 The term ‘graphic novel’ was coined by Will Eisner in the 1960s but more recently popularised by the book publishing industry, to distinguish work of a non-childish or ‘serious’ literary nature. The word ‘novel’ carries weight, and somehow ordains a work with literary ‘merit’ and an authority or gravitas that comics, being intended for children, might not otherwise have. The irony is that many so-called ‘serious’ comics – the work of Robert Crumb for example, George Herriman (‘Krazy Kat’), or even Chris Ware (‘Jimmy Corrigan’) – is episodic in nature, short stories, mere strips even! Likewise, some of the great New Zealand long form comic stories have only ever been published episodically in journals or in mini-comic form, yet many might be worthy of the title ‘graphic novel’. But ‘Shaolin Burning’, which like ‘Hicksville’ is published in New Zealand by a mainstream publishing house, uses the term ‘graphic novel’ as a statement of intent as much as a technical description. And I suppose that’s what I was getting at in my review. 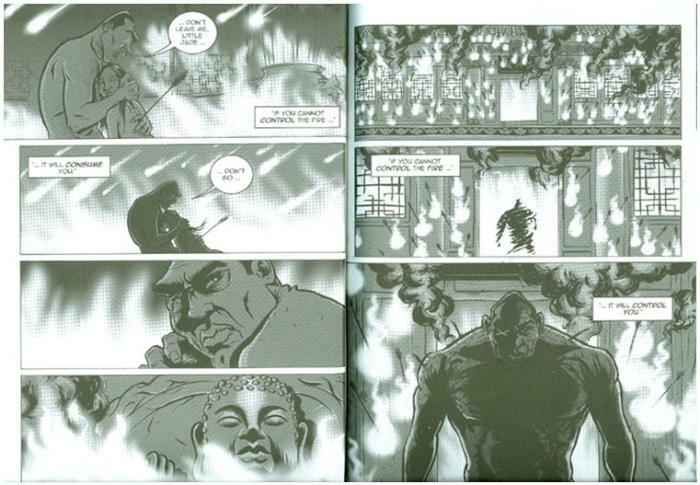 ‘Shaolin Burning’ is not really New Zealand’s second-ever graphic novel, just as Hicksville is not really its first. But they are among the first to call themselves by that name. And in the end, that’s good enough for me. I look forward to more New Zealand ‘graphic novels’ from the likes of Matt Hunkin, Mat Tait, Jared Lane, Robyn E. Kennealy, Trace Hodgson, Timothy Kidd, Barry Linton, Karl Wills, Claire Harris or any of the many other great comic writers in this country that deserve to be published in this manner. Above: Martin Emond and Gordon Rennie’s ‘White Trash’ – graphic novel or comic book? There are plenty of things I like about this book. I like the descriptive names of the chapters that help frame the story, and the episodic way in which the narrative evolves. Sang works well within the limitations of the format, telling an epic inside of 200 pages. I’m a personal fan of his clear black brush and line work and I don’t normally favour digitally enhanced images but, bound by the economics of black and white, Sang has effectively “coloured” each page with graduated grey tones that evoke an additional sense of depth, mood and dimension to the illustrations. It’s got some good characters too, outstandingly ‘the monk who doubts’, the larger than life victor of the ‘battle of a thousand deaths’ whose one-crossed blind eye is reminiscent of classic manga samurai character Tange Sazen. Sang’s landscape breakout panels where the warrior monk slaughters everything in his path has the poetry of a ballet, and the inspiration of Shirato Sanpei, whose comics I have also been reading (see next). 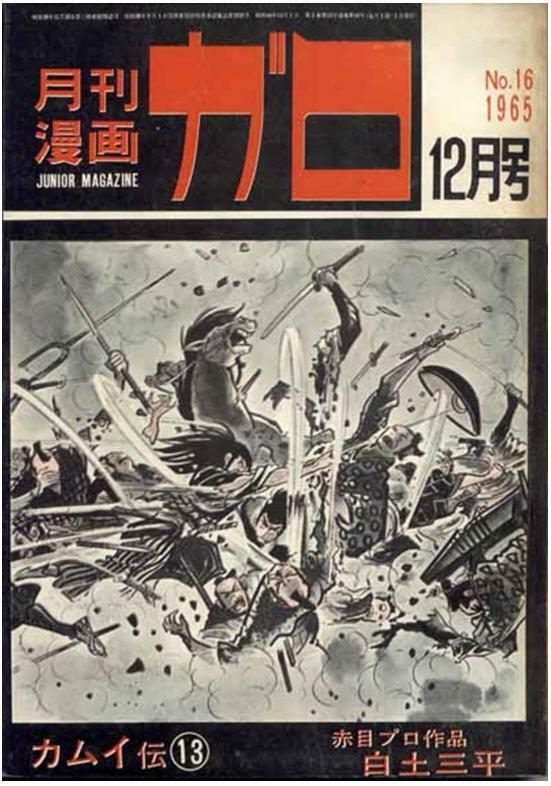 Above: Garo 16 (December 1965), cover by Shirato Sanpei. Having recently had the pleasure of thumbing through original copies of ‘Garo’ magazine (not expensive to purchase I’m told if you known where to look on the web) has taught me that in terms of their sophistication, Japanese comics have been well ahead of those in Europe and America since at least the 1960s. Reading ‘Garo’ today (I can’t actually read Japanese, but I can ‘read’ the pictures) gives you a real insight into just how far ahead of Western ‘graphic novels’, the Japanese manga scene really is – both visually and conceptually – and we’re still catching up.